Comics 411: Should Marvel Reboot the Ultimate Universe? I’m Steve Gustafson and thanks for stopping by. Don’t forget to check out 411mania’s Comic Book Review Roundtable, every Thursday! Read up on the best reviews and let us know what you’re reading as well. Click to read the latest Comic Book Review Roundtable! Heroes in Crisis #5, G.I. Joe: Sierra Muerte #1, and more! To read last week’s column go HERE! As always, thanks for the input! Should Marvel Reboot the Ultimate Universe? Stranger things have happened and if the possibility of making some money is in the mix, it’s something to be considered. Writer Donny Cates expressed interest in rebooting Marvel Comics’ Ulitmate Universe in response to a fan asking for the return of the imprint. In the late 1990s, the US comic book industry was in rough shape. To give you an idea of how low things were, annual combined sales from all publishers, which had been close to a billion dollars in 1993, had fallen to 270 million. The Big Two were looking for ways to turn things around and Bill Jemas came up with the idea for the Ultimate Universe. To Jemas, the problem with Marvel was that it was “publishing stories that were all but impossible for teens to read — and unaffordable, to boot”. The idea was thrown around to reboot the heroes back to their original character premise, with little tweaks here and there, freeing the comics from forty years worth of continuity. Ultimate Spider-Man led the way in 2000 and Ultimate X-Men launched in 2001 and reaction was mainly positive in both feedback and sales. The line ran till 2015 and went out more as a whimper than a bang. 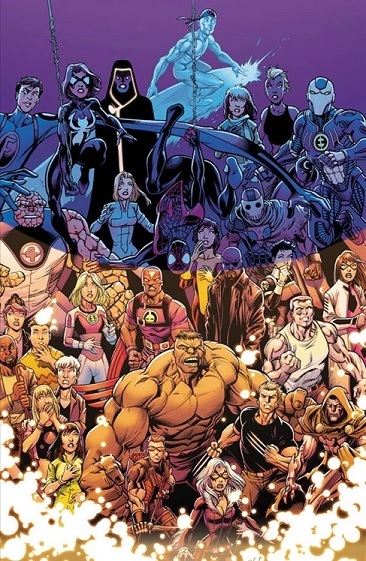 The 2015 “Secret Wars” storyline concluded Ultimate and it was destroyed alongside all the other alternate realities in the multiverse, and then recreated as a region of the Battleworld. Several characters including Ultimate Miles Morales and Ultimate Reed Richards migrated to Marvel’s primary universe and in 2017’s ‘Spider-Men II’, it was shown that the Ultimate Universe survived Secret Wars and continues on with the remaining characters. One of the biggest highlights and impact from the line is the Ultimates. 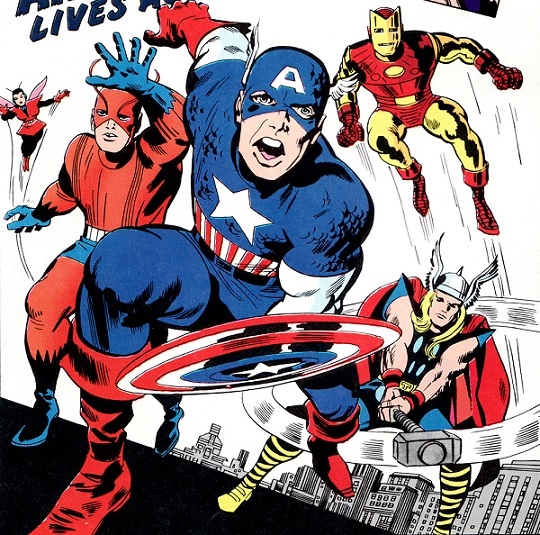 Mark Millar and artist Bryan Hitch reimagined the Avengers in a totally new and different way. Ultimate Captain America had an edge to him, the Hulk was a murderer and extremely dangerous, and so on. Hugely successful and it brought new eyes to the comics books. Turning it all around, the Ultimate Universe was fraught with bad decisions and storylines at its end but it started with 2009’s Ultimatum. Ultimatum, which I loathed, was a crossover between the Ultimate titles and killed off thirty-four characters. It was shocking for the sake of shocking and had come together with little to no planning on what would happen next. It bombed in sales, reader feedback, and the universe never recovered. Should they reboot the Ultimate Universe? Absolutely. Keep it’s original goals in mind but write for a new generation with a distinct line drawn between the two universes. Make it reader friendly and push it across as many platforms possible. Make it bold but fun and keep it free from Marvel 616 at all costs. Also important, bring in fresh, young talent to write it, not writers and artists who grew up with the main line. Use it to experiment without being hampered by continuity. Most of all, have a plan and stick to it. What do you think? Could the Ultimate Universe live again? That’s all the time I have. Check out our Comic Book Reviews tomorrow and see you next week!